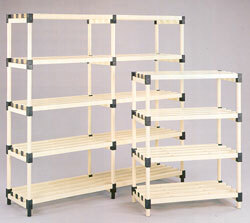 The perfect solution for your storage problems - STACARAC - the all plastic purpose made racking. Static or mobile, made in sizes to suit your requirements. Why plastic? Plastic is resistant to moisture and salt. 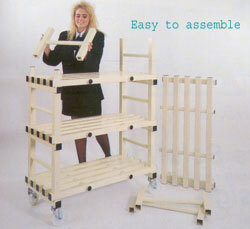 Stacarac units are easy to assemble and dismantle for cleaning. Stacarac units have a load bearing capacity of 800lbs/sq. metre. Stacarac is ideal for damp rooms, industrial kitchens, laundries, cold stores and freezers. 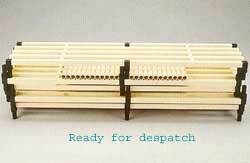 Stacarac is perfect for purpose made pallets. Stacarac is used extensively by Local Authorities and Health Authorities.